‘Tis the season for giving, and here at Kick Dance Studios we’re giving back to the community by doing what we do best – having fun with friends! We are continuing our annual tradition of creating Thanksgiving food baskets to help local families in need. And new this year, we’re inviting T-Swift fans to a dance off and Lego build in our new Fair Haven studio, where all money raised supports our local community. There’s so much to feel good about at Kick and we’re calling on our dancers, their families and friends to join us as we shine merry and bright throughout the holiday season. Join us from 2-4 p.m. for a Black Friday, Nov. 26 Shop-N-Drop Party at our Fair Haven dance studio located at 611 River Road. Ages 4-11 are welcome to shake it off to the tunes of Taylor Swift with a dance-off, complete with costumes and prizes. If T-Swift isn’t your child’s jam? Sign them up for the Lego build off. This activity is perfect for both boys and girls. The event is $25 per dancer; $50 per family. All proceeds benefit the Life Guard Ecumenical Foundation (LGEF). To register, click here and sign up under special events. 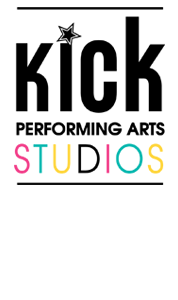 Kick Studio, and those interested in helping can drop items off from 3-6 p.m., Monday through Friday, during the week of November 16. Items needed include grocery store gift cards, boxed stuffing and mashed potatoes, canned cranberry sauce, canned vegetables, canned yams, turkey gravy, pasta/rice, applesauce, apple juice, cookies, dinner rolls, apple pies and pancake mix. Please also mark your calendar for our December 19, 4 p.m. MiniCracker Ballet performance in our Rumson studio. Our dancers can’t wait to entertain you for a good cause. Admission is a canned good or other food donation for the Red bank charity, LunchBreak. Founded in 2009 in our very own backyard by a group of neighbors in Fair Haven, the nonprofit Life Guard Ecumenical Foundation (LGEF) raises awareness of those around us that are in need of assistance. Just as a lifeguard sits on his stand and actively searches for those in need, such is the purpose of LGEF. LGEF has helped more than 80 families through organized events such as neighborhood barbecues and yard sales that have raised funds for food gift cards, overdue utility bills, excessive medical bills, and expensive life-dependent medications. This amazing charity is right in step with the needs of our community, and Kick is ready to dance, donate and collect food throughout the holidays to support LGEF’s inspiring mission. Life Guard Ecumenical Foundation knows you don’t have to travel far to find families who are facing severe economic hardships. Each day, families in our area have to make the gut-wrenching decision to sacrifice paying a utility bill to put food on the table or make rent. Mary was a Superstorm Sandy victim, living in motels after the storm with her two children, ages 2 and 4. A single mom who worked full-time and received no support, she saved enough money to rent an apartment, but found she couldn’t get her electricity turned on because of an outstanding bill. Mary used all of her savings for the rent and security to move into her new apartment. Life Guard Ecumenical Foundation helped Mary pay her overdue balance so she could have electricity in her new home with her children. Eight-year-old Tommy woke up one day and couldn’t move his legs. It took a week in the hospital to determine he had a bacterial infection that could be treated, but he would need physical therapy to rehabilitate his body. His mom needed time off work to help him recuperate, but her job didn’t provide paid leave and the family relied on her paycheck. LGEF provided funds to help them with the hospital bills and groceries, easing the financial burden. Each month, LGEF finds a local family in need and hosts a fundraising event to help that family. But they do more than donate monetarily. They volunteer time, skills and resources with the hope of spreading the spirit of giving, encouraging others to help community members in need. “Life Guard Ecumenical Foundation is beyond grateful to be Team Kick’s charity for this season,” said Tori McAndrews, Board Member of Life Guard Ecumenical Foundation. To learn how you can help support local families with LGEF, visit www.lifeguardnj.org. To register for our special events to benefit LGEF, click here.